There are a great variety of Buddhist texts. Buddhists place varying value on them: attitudes range from worship of the text itself, to dismissal of some texts as falsification of the ineffable truth. They therefore cannot be called «scripture» in the sense of other religions. The texts can be categorized in a number of ways, but the most fundamental division is that between canonical and non-canonical texts. The former, also called the Sutras (Sanskrit) or Suttas (Pali), are held to be, literally or metaphorically, the actual words of the Buddha. The latter are the various commentaries on canonical texts and other treatises on the Dharma, as well as collections of quotations, histories, grammars, etc. However, it should be borne in mind that many divisions are arbitrary, and some texts fall between categories, or can be associated with more than one category. These are, in some way or other, texts associated with Gautama, the historical Buddha. Different schools, however, are not always in agreement about which texts are canonical, and the various recensions of the Buddhist Canon contain widely varying numbers and types of texts. Broadly speaking, the texts come in three types: sutras (i.e. discourses), vinaya (relating to the rules of monastic discipline), and abhidharma (analytical texts). Together these three make up what is known in Sanskrit as the Tripitaka and in Pali as the Tipitaka. Both the sutras and the vinaya of every Buddhist school contain a huge variety of documents including discourses on the Dharma, commentaries on other teachings, cosmological and cosmogonical texts, stories of the Buddha’s previous lives, and various lists. The Theravada and other Nikaya schools believe, more or less literally, that these texts contain the actual words of the Buddha. The Theravada canon, also known as the Pali Canon after the language it was written in, contains some four million words. Later texts, such as the Mahayana Sutras, are also considered to be the word of the Buddha, but were transmitted either in secret, via lineages of mythical beings (such as the nagas), or came directly from other Buddhas or bodhisattvas. Some 600 Mahayana Sutras have survived in Sanskrit, or in Chinese and/or Tibetan translation. The most complete Mahayana Canon is in Chinese, though it was originally in Sanskrit. It contains texts from many strands of earlier tradition. The earliest Mahayana texts were composed in a ‘Middle Indo-Āryan’ language which was Sanskritised during the Gupta era when Sanskrit became the official language of the Indian court. Most of the Mahayana sutra texts are composed in what is called Buddhist Hybrid Sanskrit, a Middle Indo-Āryan Prakrit with ornaments and flourishes designed to imitate Sanskrit. Some later Buddhist texts, particularly those originating at the university at Nalanda, were composed in true Sanskrit. The Tibetan canon which belongs to the various schools of Tibetan Vajrayana Buddhism, in addition to containing the earlier three classes of texts, also contain tantric texts, and commentaries on them. The division of texts into the traditional three yanas may obscure the process of development that went on. For instance there are so-called proto-Mahayana texts, such as the Ajitasena Sutra which are missing key features which are associated with Mahayana texts. Some Pali texts also contain ideas that later became synonymous with the Mahayana. Some Mahayana texts are also thought to display a distinctly tantric character — particularly some of the shorter Perfection of Wisdom Sutras. An early tantra, the Mahavairocana Abhisambodhi Tantra, is also known as the Mahavairocana Sutra. Some Buddhist texts evolved to become a virtual canon in themselves, and are referred to as vaipulya or extensive sutras. Scholars think for instance that the Golden Light Sutra constellated around the celebrated third chapter. The Avatamsaka Sutra is another example of a single Sutra made up of many other sutras, many of which, particularly the Gandhavyuha Sutra still circulate as separate texts. The Avatamsaka Sutra and the White Lotus Sutra are associated with the idea of the Ekayana or One Vehicle. The texts claim to unify all the teachings that have come before into a greater whole. Shingon Buddhism developed a system which assigned authorship of the early sutras to Gautama Buddha in his physical manifestation; of the Ekayana sutras to the Buddhas as Sambhoghakaya; and the Vajrayana texts to the Buddha as Dharmakaya. Non or semi-canonical texts have been important from very early in Buddhism. Extensive commentaries exist in Pali for the Pali Canon and in Tibetan, Chinese and other East Asian Languages. Important examples of non-canonical texts are the Visuddhimagga, or Path of Purification, by Buddhaghosa, which is a compendium of Theravada teachings that include quotes from the Pali Canon. The Milinda Pañha, or Questions of Milinda, is a popular condensation of the Dharma in the form of a dialogue between the Buddhist sage Nāgasena and the Indo-Greek King Menander (Pali: Milinda). The treatise Awakening of Faith in the Mahayana (attributed by the faithful to Ashvaghosa) strongly influenced Mahayana doctrine and inspired numerous commentaries authored by early Chinese and Korean Buddhist teachers. Shantideva‘s Bodhicaryavatara has been influential in both Mahayana and Vajrayana, and his Shikshasamucaya contains references to texts which are no longer extant in any other form. The Platform Sutra of Huineng might be considered a semi-canonical text, it is one of a very few texts not thought to be spoken by the Buddha that has the label «sutra». One should note, however, that this distinction may be an artifact of translation: in the original Chinese, the Platform Sutra is a jīng (經), a term that may be translated as «sutra», but is also applied to a variety of other classic texts, such as the Daodejing and the Shi Jing. In the Platform Sutra, Hui Neng gives an autobiographical account of his succession as Zen Patriarch, as well as teachings about Zen theory and practice. The Zen and Ch’an school in particular rely on non-canonical accounts of Zen masters lives and teachings, for example the Blue Cliff Record. Tibetan Buddhism has a unique and special class of texts called terma (Tibetan gTer-ma). These are texts which were composed but hidden to be rediscovered at some later date. Termas are discovered by a tertön (Tibetan gTer-stons) whose special function it is to discover these texts. Some termas are hidden in caves or similar places, but a few are said to be ‘mind termas’ which are ‘discovered’ in the mind of the tertön. The Nyingma school has a large terma literature. Many of the terma texts are said to have been written by Padmasambhava who is particularly important to the Nyingmas. Probably the best known terma text is the so-called «Tibetan book of the dead«, the Bardo thodol. Other types of non-canonical texts which have been important are the histories of Buddhism in Sri Lanka, the Dipavamsa and Mahavamsa. There is some dispute over what to call the more conservative stratum of Buddhist schools and the texts associated with them. The most widely used term is Hinayana, but this is often seen as unsatisfactory for several reasons (see Hinayana). This article will use the phrase «Nikaya schools», which refers to the class of sutras they consider to be canonical. These sutras are sometimes referred to by members of other schools as nikayas or agamas. Although many versions of the Nikaya school texts were written in Sanskrit, the only complete canon to survive in its original language is that of the Theravadin school, which preserved the texts in the Pali language. The Pali literature divides into roughly three periods. The early, or classical period begins with the Tipitika and ends with the Milindha-pañha about 1BCE. After a period of decline Pali underwent a renaissance in the 4th century with the help of Buddhaghosa, which lasted until the 12th Century. The third period coincides with major political changes in Burma and lasted for several centuries in Sri Lanka, and much longer in Burma. 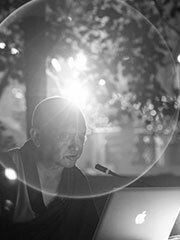 The vinaya literature is primarily concerned with aspects of the monastic discipline. However vinaya as a term is also contrasted with Dharma where the pair mean something like doctrine and method. The vinaya literature in fact contains a considerable range of texts. There are of course those which discuss the monastic rules, how they came about, how they developed, and how they were applied. But the vinaya also contains doctrinal expositions, ritual and liturgical texts, biographical stories, and the «Jatakas» or birth stories. Paradoxically the text most closely associated with the vinaya, and the most frequently used portion of it, the Pratimoksha, is not in fact a canonical text at all. Mahīshāsika, Kāshyapīya, and Dharmagupta, originally were in Sanskrit, but only survive in Chinese translation. The Mahāvastu compiled by the Lokottaravadin sub-school of the Mahāsānghika was originally the preamble to their vinaya that became detached, hence, rather than dealing with the rules themselves, it takes the form of an extended biography of the Buddha which it describes in terms of his progression through ten bhumis, or stages. This doctrine was later taken up by the Mahayana in a modified form as Vasubandhu‘s Ten Stages Sutra. These range in length up to 95 pages. The Pali Digha Nikaya contains 34 texts including the Mahāparinibbāna Sutta and the Brahmajāla Sutta. The Dīrghāgama of the Dharmagupta also survives in Chinese translation and contains 30 sutras. This contains the rest of the suttas of any length, and the Pali Majjhima Nikaya has 152 suttas. The Madhyamāgama of the Sarvāstivada containing 222 sutras survives in Chinese translation. This grouping consists of many short texts connected by theme, setting, or interlocutor. The Pali Samyutta Nikaya contains more than 2,800 suttas. The Samyuktāgama of the Sarvāstivada containing only 1300 sutras survives in Chinese translation. Suttas which have the same number of doctrinal items containing over 2,300 suttas in the Pali Anguttara Nikaya. The Chinese canon contains a Ekottarāgana which is thought to belong to the Mahāsanghika school originally. the Dhammapada: which is a collection of sayings and aphorisms. The Udana : a collection of inspired sayings in verse usually with a prose introduction which sets a context of sorts of the saying. The Sutta nipatta: along with the Dhammapada and the Udana the Suttanipatta is thought to represent the earliest strata of the written canon. Many of the features of later texts, such as numbered lists of teachings, or complex doctrinal categories, are not present. Theragāthā and Therīgāthā two collections of biographical verse related to the disciples of the Buddha (male and female respectively). Jataka: the so-called ‘birth stories’ which recount former lives of the Buddha. These remain popular in many forms of Buddhism. Many of these texts are available in translation as well as the original language. The Dhammapada for instance has a Pali version, three Chinese versions, a Tibetan version, and a Khotanese version. Abhidharma (in Pali, Abhidhamma) means further Dharma and is concerned with the analysis of phenomena. It grew initially out of various lists of teachings such as the 37 Bodhipaksika-dharmas or the 37 Factors leading to Awakening. Although canonical, and regarded as the word of the Buddha, modern scholarship has shown that it developed much later, and most of the literature is the product of the two centuries after Ashoka (1st Century CE). The Theravada Abhidhamma survives in the Pali Canon. A Sarvastivada Abhidharma composed in Sanskrit, survives in Chinese and Tibetan traditions. The Abhidharma literature is chiefly concerned with the analysis of phenomena and the relationships between them. Outside of the Theravada monasteries the Pali Abhidharma texts are not well known. Not all schools accepted the Abhidharma as canonical. The Sautrāntika, for instance, held that the canon stopped with the vinaya and sutras. The rejection of some schools that dharmas (i.e. phenomena) are ultimately real, which the Theravada Abhidhamma, for instance, insists, is thought to be an important factor in the origin of the Mahayana. The first important, non-canonical text is probably the Milinda pañha (literally The Questions of Milinda). This text is in the form of a dialogue between Nagasena, and the Indo-Greek King Menander (Pali: Milinda). It is a compendium of doctrine, and covers a range of subjects. The Pali texts have an extensive commentarial literature which remains largely untranslated. These are largely attributed to Buddhaghosa. There are also sub-commentaries or commentaries on the commentaries. Buddhagosa was also the author of the Visuddhimagga, or Path of Purification, which is a manual of doctrine and practice according to the Theravada school. See Mahayana Sutras for a list of sutras categorised by source, without discussion. Deal with prajñā (wisdom or insight). Wisdom in this context means the ability to see Reality as it truly is. Do not contain an elaborate philosophical argument, but simply try to point to the true nature of reality, especially through the use of paradox. The basic premise is a radical non-dualism, in which every, and any dichotomist way of seeing things are denied: so phenomena are neither existent, nor non-existent, but are marked by sunyata, emptiness, an absence of any essential unchanging nature. The Perfection of Wisdom in One Letter illustrates this approach by choosing to represent the perfection of prajñā with the Sanskrit short ‘a’ vowel, which when appended to a word, gives it the opposite meaning. Many sutras are known by the number of lines or slokas that they contained. Edward Conze, who translated all of the Perfection of Wisdom sutras into English, identified four periods of development in this literature. 500-1000CE : texts from this period begin to show a tantric influence. Also called the Lotus Sutra, White Lotus Sutra, Sutra of the White Lotus, or Sutra on the White Lotus of the Sublime Dharma; Sanskrit: Saddharmapundarīka-sūtra; 妙法蓮華経 Cn: Miàofǎ Liánhuā Jīng; Jp: Myōhō Renge Kyō.Probably composed in the period 100 bce–100 ce, the White Lotus proposes that the three yanas (Shravakayana, Pratyekabuddhayana, and Bodhisattvayana) are not in fact three different paths leading to three goals, but one path, with one goal. The earlier teachings are said to be ‘skilful means’ in order to help beings of limited capacities. Notable for the (re)appearance of the Buddha Prabhutaratna, who had died several aeons earlier, because it suggests that a Buddha is not inaccessible after his parinirvana, and also that his life-span is said to be inconceivably long because of the accumulation of merit in past lives. This idea, though not necessarily from this source, forms the basis of the later Trikaya doctrine. Later associated particularly with the Tien Tai in China (Tendai in Japan) school and the Nichiren schools in Japan. There are three major sutras which fall into this category: the Infinite Life Sutra, also known as the Larger Pure Land Sutra; the Amitabha Sutra, also known as the Smaller Pure Land Sutra; and the Contemplation Sutra or Visualization Sutra. These texts describe the origins and nature of the Western Pure Land in which the Buddha Amitabha resides. They list the forty-eight vows made by Amitabha as a bodhisattva by which he undertook to build a Pure Land where beings are able to practise the Dharma without difficulty or distraction. The sutras state that beings can be reborn there by pure conduct and by practices such as thinking continuously of Amitabha, praising him, recounting his virtues, and chanting his name. These Pure Land sutras and the practices they recommend became the foundations of Pure Land Buddhism, which focus on the salvific power of faith in the vows of Amitabha. Composed some time before 150CE. The Bodhisattva Vimalakirti appears in the guise of a layman in order to teach the Dharma. Seen by some as a strong assertion of the value of lay practice. Doctrinally similar to the Perfection of Wisdom texts, another major theme is the Buddhafield (Buddha-kshetra) which was influential on Pure Land schools. Very popular in China and Japan where it was seen as being compatible with Confucian values. The Triskandha Sutra, and the Suvarnaprabhasa Sutra (or Golden Light Sutra) which focus on the practice of confession of faults. The Golden Light Sutra became especially influential in Japan where one of its chapters, on the Universal Sovereign, was used by the Japan Emperors in legitimise their rule, and it provided a model for the well run state. A large composite text of which several parts, notably the Dasabhumika Sutra, and the Gandhavyuha Sutra. Probably reached its current form by about the 4th Century CE, although parts of it such as those mentioned above, are thought to date from the 1st or 2nd century CE. The Gandhavyuha sutra is thought to be the source of a cult of Vairocana that later gave rise to the Mahavairocana-adhisambodhi tantra which became one of two central texts in Shingon Buddhism, and is included in the Tibetan canon as a carya class tantra. The Avatamsaka Sutra became the central text for the Hua-yen (Jp. Kegon) school of Buddhism, the most important doctrine of which is the interpenetration of all phenomena. Sutras which primarily teach the doctrine of vijnapti-matra or ‘representation-only’, associated with the Yogacara school. The Sandhinirmocana Sutra (c 2nd Century CE) is the earliest surviving sutra in this class. This sutra divides the teachings of the Buddha into three classes,which it calls the «Three Turnings of the Wheel of the Dharma». To the first turning, it ascribes the Agamas of the Shravakas, to the second turning the lower Mahayana sutras including the Prajna-paramita Sutras, and finally sutras like itself are deemed to comprise the third turning. Moreover, the first two turnings are considered, in this system of classification, to be provisional while the third group is said to present the final truth without a need for further explication (nitartha). The well-known Lankavatara Sutra, composed sometime around the 4th Century CE, is sometimes included in this group, although it should be noted that it is somewhat syncretic in nature, combining pure Yogacara doctrines with those of the tathagata-garbha system, and was unknown or ignored by the progenitors of the Yogacara system. The Lankavatara Sutra was influential in the Chan or Zen schools. Especially the Tathagatagarbha Sutra, the Shrīmālādevi-simhanāda Sūtra and the Mahayana Mahaparinirvana Sutra (which is very different in character from the Pali Mahaparinibbana Sutta). These texts teach that every being has a Tathagatagarbha: variously translated as Buddha nature, Buddha seed, Buddha matrix. It is this Buddha nature, this aspect of every being which is itself already enlightened which enables beings to be liberated. One of the most important responses of Buddhism to the problem of immanence and transcendence. The Tathagatagarbha doctrine was very influential in East Asian Buddhism, and the idea in one form or another can be found in most of its schools. Two very large sutras which are again actually collections of other sutras. The Maharatnakuta Sutra contains 49 individual works, and the Mahaasamnipaata Sutra is a collection of 17 shorter works. Both seem to have been finalised about the 5th century, although some parts of them are considerably older. A number of sutras which focus on the actions which lead to existence in the various spheres of existence, or which expound the doctrine of the twelve.. links of pratitya-samutpada or dependent-origination. Sutras which focus on the principles which guide the behaviour of Bodhisattvas. Including the Kaashyapa-parivata Sutra, the Bodhisattva-praatimoksa Sutra, and the Brahmajaala Sutra. Early in the 20th Century a cache of texts was found in a mound near Gilgit, Afghanistan. Amongst them was the Ajitasena Sutra. The Ajitasena Sutra appears to be a mixture of Mahayana and pre-Mahayana ideas. It occurs in a world where monasticism is the norm, which is typical of the Pali Suttas; there is none of the usual antagonism towards the Shravakas (also called the Hinayana) or the notion of Arahantship which is typical of Mahayana Sutras such as the White Lotus, or Vimalakirti Nirdesha. However the sutra also has an Arahant seeing all the Buddha fields, it is said that reciting the name of the sutra will save beings from suffering, and the hell realms, and a meditative practice is described which allows the practitioner to see with the eyes of a Buddha, and to receive teachings from them: which are very much typical of Mahayana Sutras. The Mahayana commentarial and exegetical literature is vast, and in many cases the texts have an importance which outweighs canonical texts. The 9th Century Indian Buddhist Shantideva produced two texts: the Bodhicaryāvatāra has been a strong influence in many schools of the Mahayana. It is notably a favourite text of the fourteenth Dalai Lama. The text begins with an elaborate ritual worship section, but goes on to expound the six perfections. The 9th chapter is a critique of various views on perfect wisdom from the madhyamika point of view. Shantideva also produced the Shikshasamuccaya which is a compendium of doctrines from a huge range of Mahayana Sutras — some of which are no longer extant and therefore known only through Shantideva’s quotes. Asanga, associated with the Yogacara school of Mahayana thought, is said to have received many texts directly from the Bodhisattva Maitreya in the Tushita god realm including Madhyāntavibhāga, the Mahāyānasūtrālamāra, and the Abhisamayālamkara. He is also said to have personally written the Mahāynasamgraha, the Abhidharmasamucaya (a compendium of Abhidharma thought which became the standard text for many Mahayana schools especially in Tibet), and the Yogācābhūmi (although the latter text appears to have had several authors). Asanga’s brother Vasubandhu wrote a large number of texts associated with the Yogacara including: Trivabhāva-nirdesha, Vimshatika, Trimshika. Abhidharmakośa-bhāsya although this work predates his conversion to the Mahayana and some scholars speculate that there may have been two Vasubandhus. Most influential in the East Asian Buddhist tradition was probably his Thirty Verses on Consciousness-only. Dignāga is associated with a school of Buddhist logic which tried to establish what were valid sources of knowledge (see also Epistemology). He produced the Pram&#nasamuccaya, and later Dharmakirti wrote the Pramānavārttikā which was a commentary and reworking of Dignaga text. The Awakening of Faith in the Mahayana by Ashvaghosha was influential in East Asian Buddhism, especially the Hua-yen school of China, and its Japanese equivalent, Kegon. Ashvaghosha is also celebrated for his plays. The canon of the Vajrayana schools includes a number of Nikaya-related texts from a number of the schools, as well as Mahayana sutras. However it is the specifically Vajrayana texts that most strongly characterise it. They are considered to be the word of the Buddha, and the Tibetan Canon contains translations of almost 500 tantras and over 2000 commentaries to them. The texts are typically concerned with elaborate rituals and meditations. Kriyā tantras. These form a large subgroup which appeared between the 2nd and 6th centuries CE. The Kriya tantras focus on actions (ritual etc.). Each centres around a particular Buddha or Bodhisattva, and many are based around dharanis. Examples include the Mahāmegha Sutra, the āryamañjushrīmūlakalpa, the Subhāpariprcchā Sutra, and the Aparimitāyurjñānahrdayadhāranī. Carya tantras. This is a small class of texts that probably emerged after the 6th century. Entirely centred on the worship of the Buddha Vairocana. The best known example is the Mahāvairocanābhisambodhi Tantra (aka Mahavairocana Sutra) which became a foundational text for the Shingon School of Japan. Yoga tantras likewise focus on Vairocana, and include the Srvatathāgatatattvasamgraha Tantra and the Sarvadurgatiparishodhana Tantra. Anuttara tantras. This most advanced class of tantra focuses on mental transformation and less on ritual actions. They are sometimes further divided into the so-called Father Tantras and Mother Tantras. Firstly there are the yogottara (or higher union) tantras, also known as father tantras, or upāya (skilful means) tantras. They focus on the Buddha Akshobhya and his consort Māmaki. The Guhyasamāja Tantra comes from this class of tantras, dating probably from the 8th century. Secondly prajña or mother tantras, (also known as yogini tantras) dating from the late 8th century. Akshobhya is still the central figure, but he now appears in his wrathful form as Heruka. Female figures take on a much greater significance, becoming as important as male figures, if not more so. The Samvara Tantra was translated into Tibetan in the 8th century. Other members of this class, such as the Hevajra Tantra, appeared in the 10th century. The Kalachakra tantra is sometimes said to be an advaya or non-dual tantra. It appeared very late in the development of tantric Buddhism — in the mid 11th century — and is written in classical Sanskrit, rather than the usual mixture of Prakrit and the characteristic «allusive speech» (samdhyābhāshā). For the first time the teachings refer to the ādhibuddha, or primordial Buddha. Vajrayana adepts, known as siddhas, often expounded their teachings in the form of songs. Collections of these songs such as the Caryāgīti which is a collection of songs by various ‘siddhas’ are popular; the Dohakosha is a collection of songs by the siddha Saraha from the 9th century. A collection known in English as The Hundred Thousand Songs of Milarepa is also popular. Terma texts are hidden to be rediscovered at a later date. Padmasambhava wrote, and hid, many termas. The best known terma text is probably the Bardo thodol, Awakening in the Bardo State, also known as the Tibetan Book of the Dead. The person who finds a terma text is known as a terton. Kukai wrote a number of treatises on Vajrayana Buddhism which are distinctive to his Shingon Buddhism. List of sutras which has a list of Buddhist (and Hindu) sutras. Yana — a guide to the various classifications of the Buddhist schools into ‘yanas’ or ‘vehicles’.